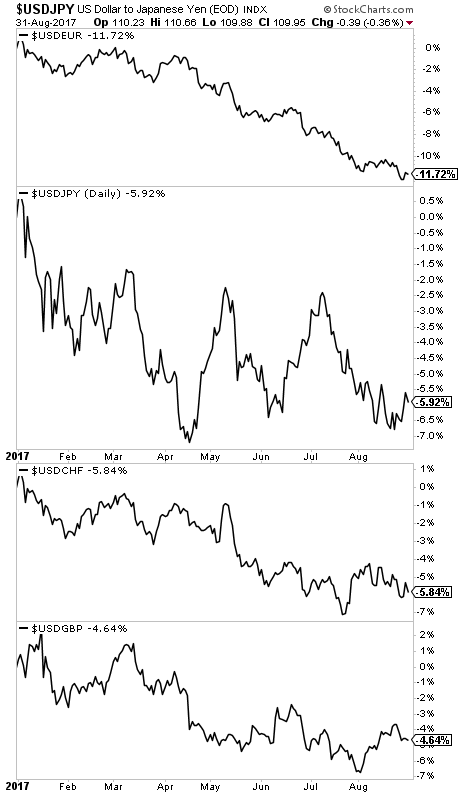 The US Dollar collapse keeps driving the markets. 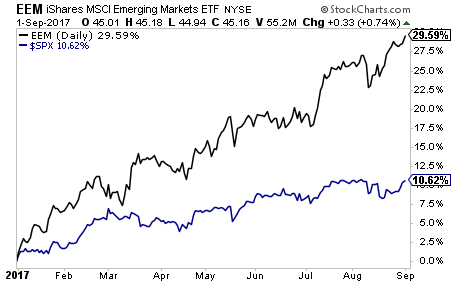 Thus far in 2017, Emerging Markets have outperformed the US stock market by a wide margin. We keep hearing about how the US stock market is like a raging bull. But Emerging Market stocks have outperformed US stocks by nearly 200%. A big reason for this? 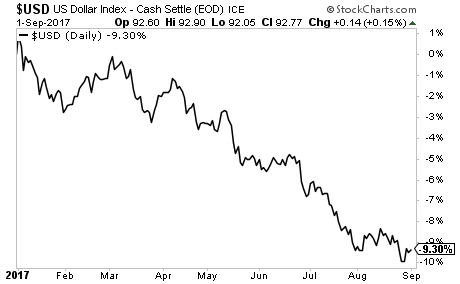 As we write this, the US Dollar collapse is over 9% year to date. This benefits Emerging Market companies which by and large issue their debts in $USD. 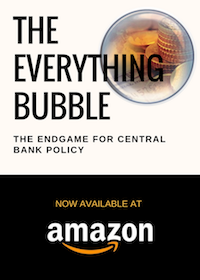 Put another way, a US Dollar collapse is like a virtual debt write-off for any corporation outside the developed world. 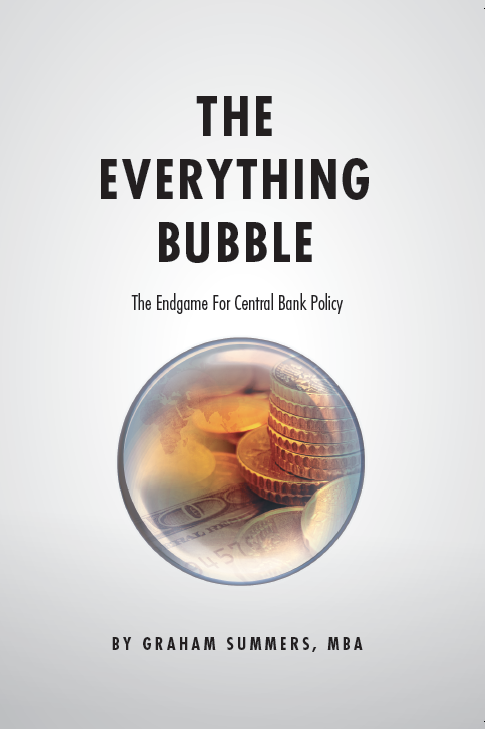 However, the implications of a US Dollar collapse extend far beyond Emerging Markets. Indeed, as we’ve noted, this is THE BIGGEST TREND OF 2017. And those investors who have taken note of it have already profited handsomely. Indeed, the biggest money is made when you identify a major trend and get in early. Since that time the $USD has dropped like a brick against every major world currency. Smart investors will use this trend to make literal fortunes.